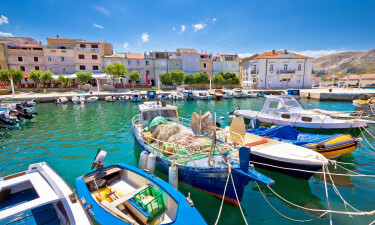 Croatia is a relative latecomer to the European holiday scene, but travellers who have discovered it love the rock and pebble coastline, the pretty rolling hillsides and the craggy old towns and villages. The people of Croatia are friendly, the cost of eating out is very reasonable and the choice of things to do and see is huge. LUX-camp have the best Croatian camping holidays available so take a closer look at your next holiday destination. Why is Croatia a good place to camp? Croatia is part of the EU, the currency is the Croatian Kuna and the time is one hour ahead of Ireland. Croatia is bordered by Bosnia and Herzegovina, Serbia, Slovenia, Hungary and Montenegro and is just across the Adriatic Sea from Italy. The beautiful Croatian coastline is great for sailing and diving, and most of the luxury camping resorts are next to the beach with easy access to the water. Stay in mobile homes, luxury tents and a choice of bungalow tents and enjoy nature at its best. Istria is in the north of Croatia, an area famous for its white truffles, olives and fresh seafood. 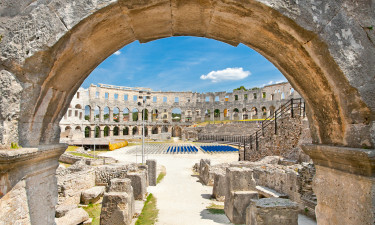 The town of Pula has a large port and a Roman amphitheatre that is open to visitors. Rovinj is a fishing town that features the Church of St Euphemia, a choice of fine restaurants, plus 14 islands just offshore. In the south of Croatia the Dalmatia region is long and narrow. There are spectacular national parks, the ancient city of Dubrovnik, tiny islands and countless medieval buildings to see in the area. Luxury camping sites here have fun-filled aqua parks and all-day entertainment. One of the largest Croatian islands, Pag is north of Zadar. The beaches have tiny pebbles and a gentle slope into the water, and there is a salt museum, a lace gallery and a small choice of restaurants. This is the place to go to take things easy and enjoy a quiet island with spectacular landscapes. The beach areas in Croatia are nearly all shingle and pebble. In some places the rocks have been expertly shaped to make flat sunbathing areas and steps into the sea. The water is crystal clear which makes it a great place to dive or snorkel. Inland there are pine forests, hillsides and lakes with jaw-dropping beauty - perfect for long hikes. 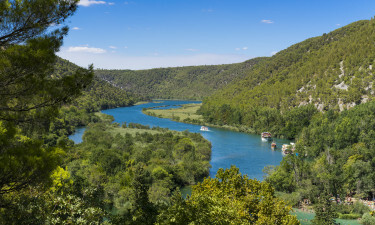 The Krka National Park has 200m deep canyons with waterfalls, and Plitvice Lakes has no fewer than 16 natural pools connected by cascading water. 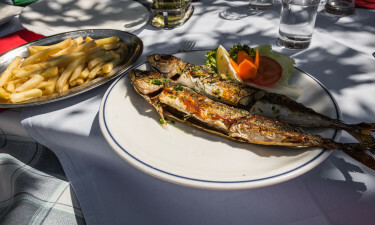 Restaurants serve a mix of European dishes with lots of fresh seafood and local produce influencing the menu. As Italy is nearby, the pizzas are delicious, as is the thinly sliced ham. Croatian beer is deliciously popular; Karlovacko is perhaps the best known one to ask for. Local wine is worth a try, and the brandy is quite fiery. Dubrovnik is the most-visited city of the country. The old town is a UNESCO Heritage Site and has a city wall you can walk along, a Jesuit Monastery, a 15th-century fountain and a pretty port. Sailing along the coast is a must-do for visitors who enjoy messing about on boats, and island hopping can be done from ferries the length of Croatia. The coastal area of Croatia enjoys a Mediterranean climate of hot summers and mild winters. August regularly sees temperatures in the low 30s. Inland, the winter can get very cold and snow can fall. There are areas of Croatia which have been inhabited since 1000BC. Pula has Roman buildings dating back to the 8AD, and Solin has remains of a palace built in 284AD. 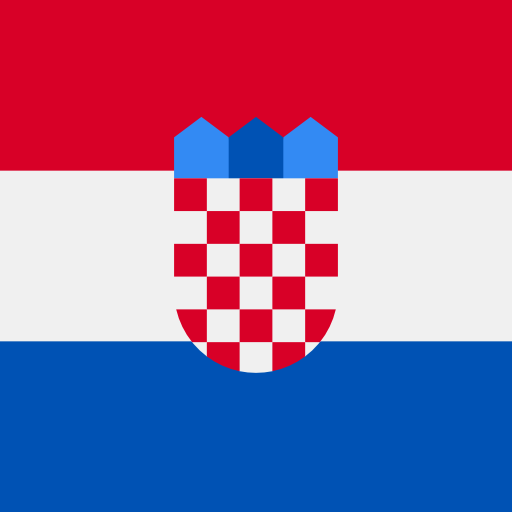 From the end of WWI until 1991 Croatia was part of Yugoslavia. There were wars over territory until 1995, but for two decades now the country has been very safe to visit and is gaining in popularity as a great place to go on holiday.